Metal Power are leading manufacturers of Spectrometers and Analytical Equipment. We offer the world’s widest OES range to meet every analytical and financial need. We export to 35+ countries and have 1,500+ installations across 4 continents. We have vast experience in designing and manufacturing a comprehensive range of Analytical Instruments. With a large R&D department boasting of multiple PhDs and several patents, we design the world’s widest and most advanced range of Optical Emission Spectrometers. Designed to meet the most stringent standards and analytical needs, our spectrometers are instruments of choice for leading organizations in every segment and sector across markets. We offer tailored models that fit every budget and every application need. Our Applications Lab even develops customized solutions. 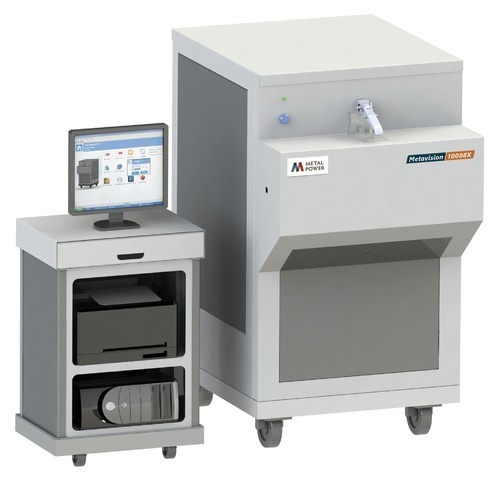 Whatever the need, Metal Power spectrometers meet them – from fine wires of 0.1 mm and below to thin foils of <0.05 mm and even powder samples (without blocking or sintering), Metal Power offers the most unique (and patented) solutions in the world.